Friday, May 16, 2014 from 6:00 pm to 9:00 pm. Whitney Museum of American Art, 945 Madison Ave., 2nd floor galleries. 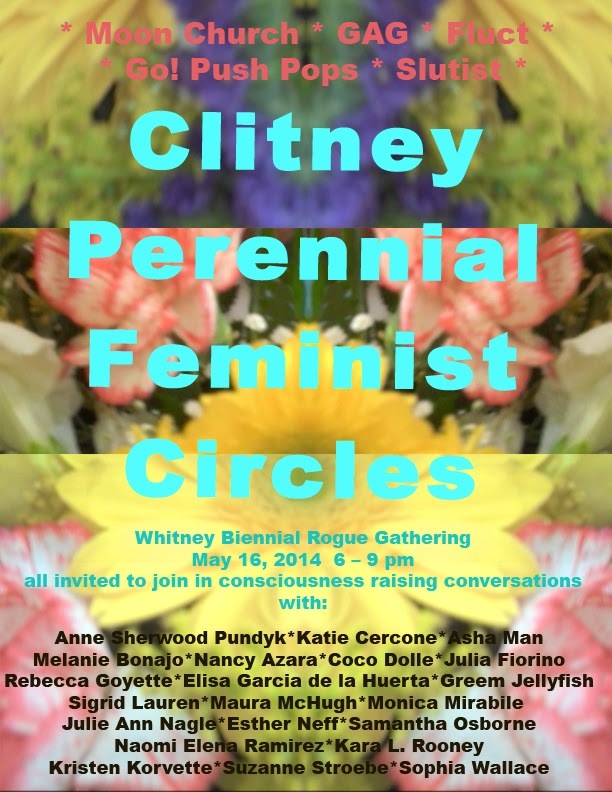 The Clitney Perennial is a rogue group conversation to be staged in the galleries of the Whitney Biennial. Impromptu conversations will be lead by members of art collectives, along with individual artists, writers and curators on the second floor of the Whitney Museum. The conversations are intended to raise awareness about the lack of diversity in the show as a microcosm of the larger art world. Suzanne Lacy, renowned artist and activist endorses the event, "Clitney Perennial is hysterical, combining serious activism with engaging humor; I wish these feminists the best of luck!" 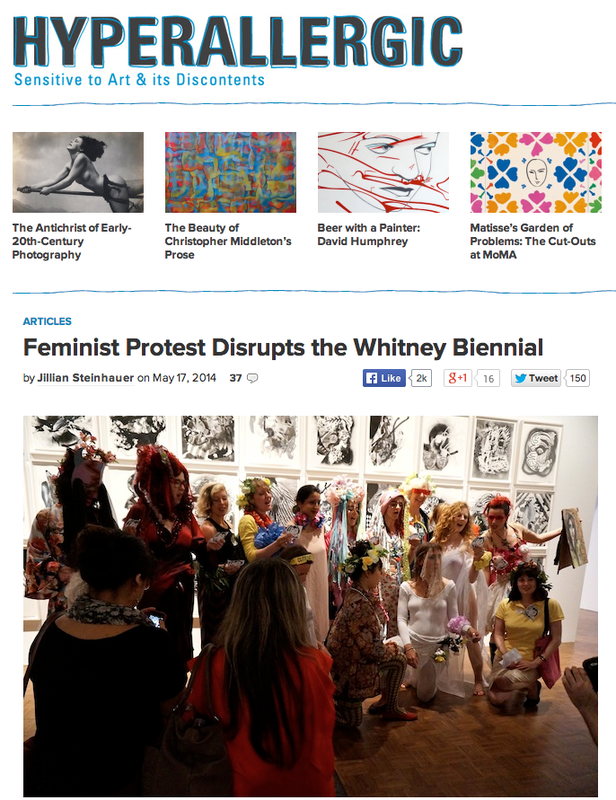 All museum attendees will be welcome to gather in small groups for feminist consciousness raising discussions. Conversations may conclude and re-form throughout the evening. Flowers available at the front door of the museum may be worn by all participants.